Back in the 1970s and '80s, "progressive" bluegrass more often than not meant three things: an electric bass, lots of melodic Trischka/Keith-style banjo, and cover versions of rock & roll songs like "Lay Down Sally" or, in one embarrassing case, "Why Must I Be a Teenager in Love?." 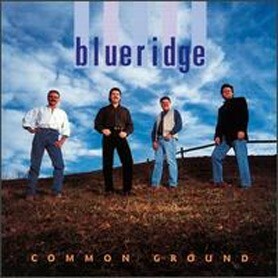 These days there's a new breed of progressive bluegrass players on the scene, of which Blueridge is a good example. The group's sound is deeply rooted in traditional bluegrass, with rich four-part harmonies and a relatively straight-ahead playing style. But with Common Ground, the group presents a program consisting entirely of newly written songs -- no "Uncle Pen," no "Flint Hill Special." That's unusual even for most newgrass bands. And the songs themselves often depart considerably from the three-chord orthodoxy of traditional bluegrass, as on the fairly sophisticated "Talk It Out" and the complicated arrangement of "Appalachian Queen," a train song that incorporates elements of "Foggy Mountain Breakdown" but demonstrates an innovative approach to solo placement. 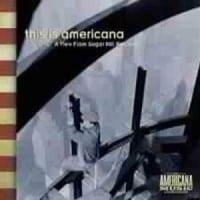 The singing is consistently excellent, as are the songs. Highly recommended.